He calls him Overwatch’s “least cool character.” We’re not convinced. 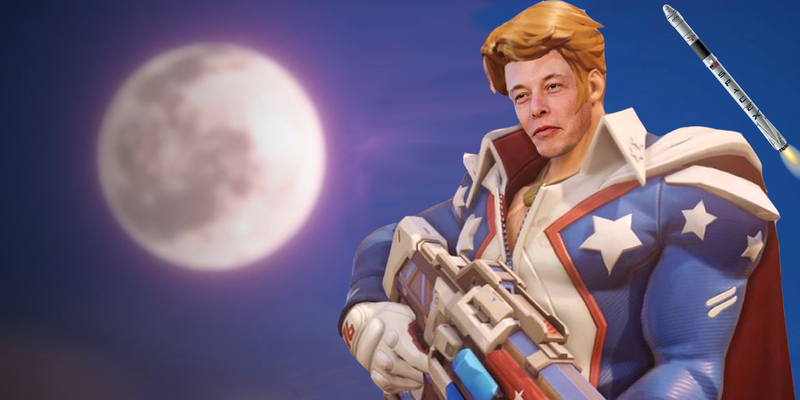 Ever since space colonizer Elon Musk declared his love for Overwatch in a January interview with Y Combinator’s Sam Altman, everyone has been wondering who he mains. Musk refused to answer, shrouded in shame behind his most played hero. Naturally, everyone thought he played Hanzo. Or maybe Bastion. After all, Musk spent so much time lamenting how embarrassing and uncool his main was that we figured it had to be really bad, like maybe he played as an attack Mercy or something. But our guesses were all wrong. After dodging inquiries from Business Insider’s Dave Smith for weeks, Musk revealed his dark secret. He mains Soldier: 76 in Overwatch. Hey, Musk—that’s not so bad. Soldier: 76 is actually really good. He sees a lot of play in competitive Overwatch, too. Everyone’s favorite soldier dad does a lot of damage with his regular rifle, and even more with his helix rockets. Soldier: 76 may be one of the more traditional heroes in first-person shooter, but there’s certainly more embarrassing heroes to main.